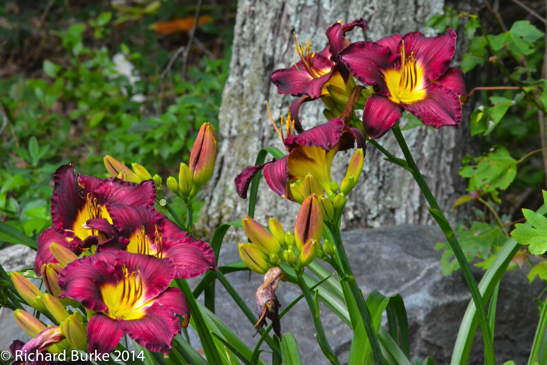 The beautiful day lilies in our back garden continue to bloom. 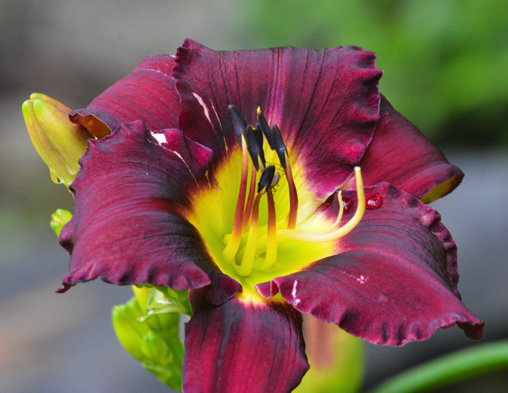 Most people think of day lilies as being orange like the ones we see along roadways in the Northeast and mid atlantic states. However, like roses they come in a variety of colors and shapes. 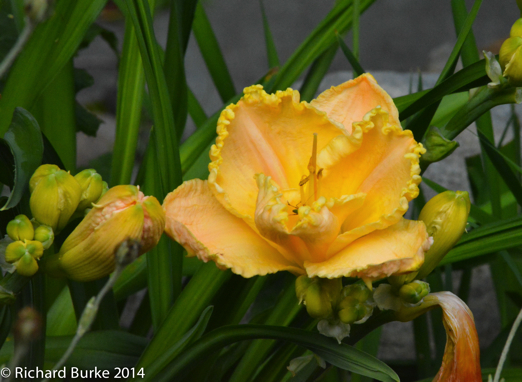 These are our yellow day lilies and I specifically like the ruffled edges on the petals. Last winter almost killed our “butterfly bushes” and we lost some lilies and other perennials but the Day Lilies seem to have liked it. This is the most buds we have ever had on this day Lilly plant in ten years. This is our first day Lilly of the season. I like this close up the best even though it is not cropped quite right. I like it because of the little bug feasting on one of the flower’s stamens. You can see the weight of the bug actually causing the stamen to bend. I expect the weight which has to be less than a tenth of an ounce which proves once again that all things are relative..